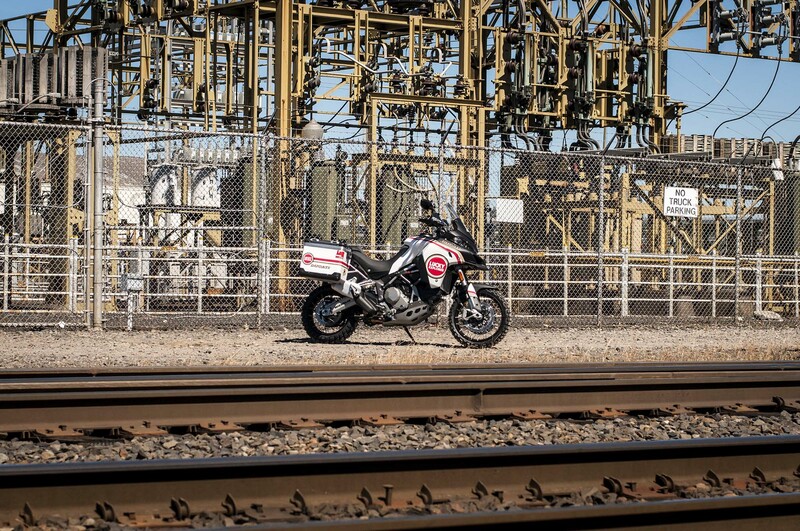 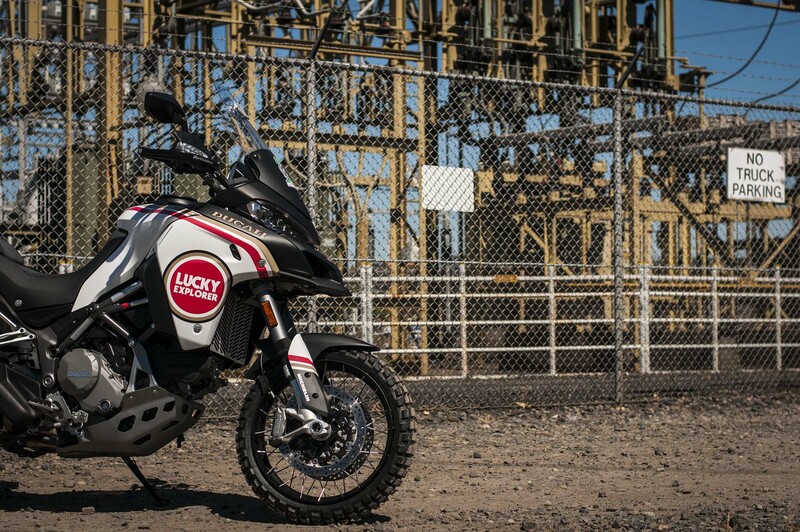 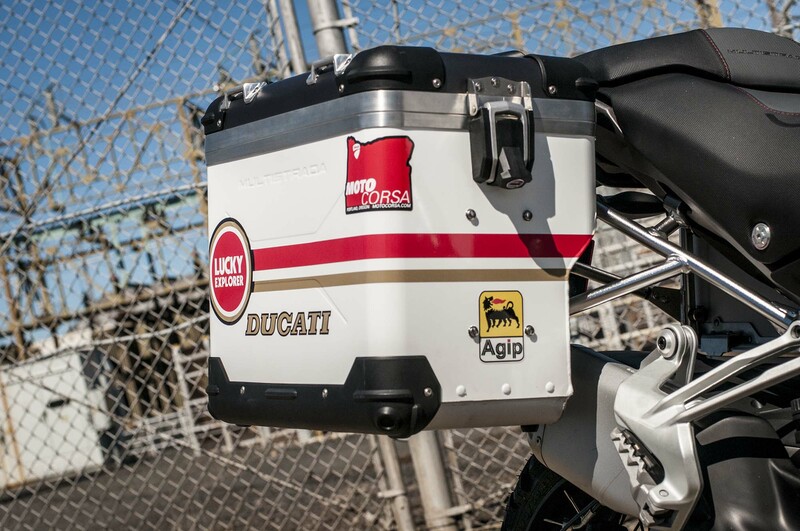 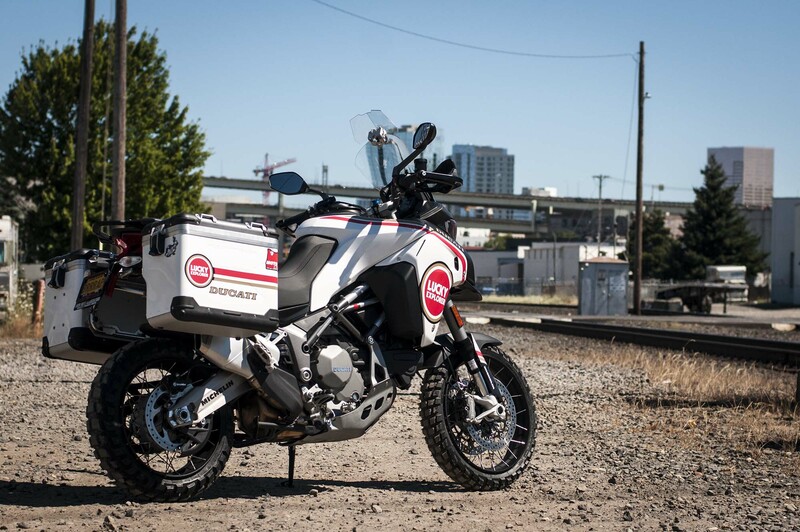 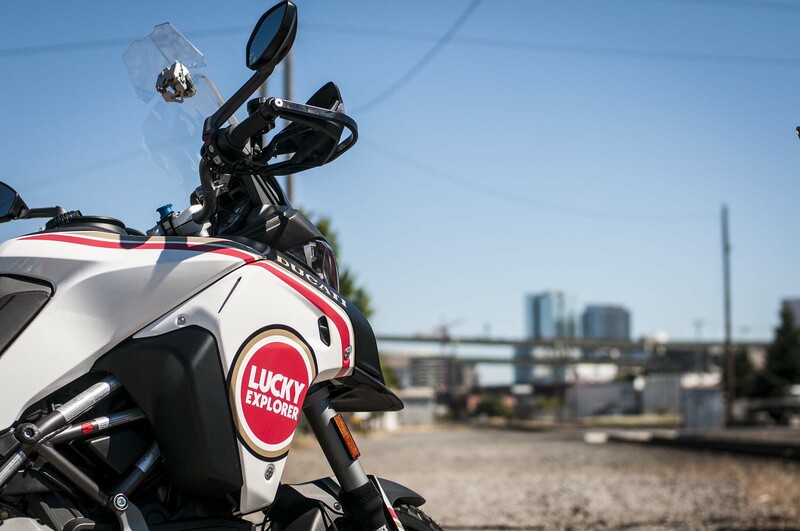 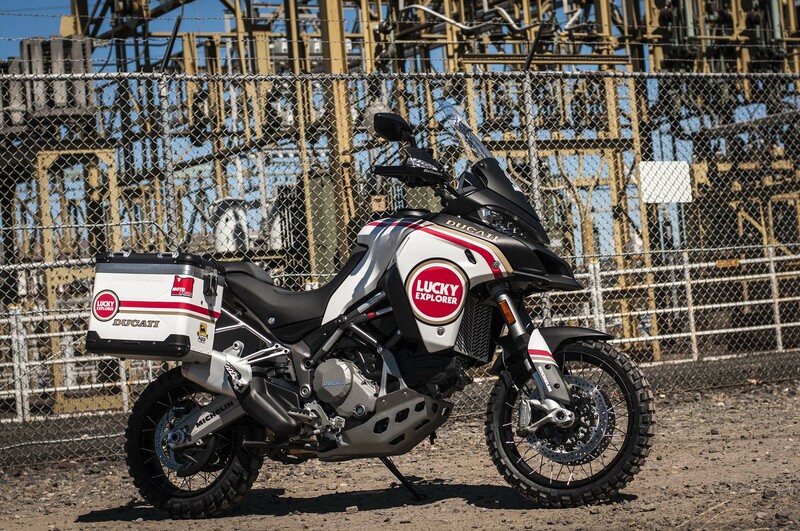 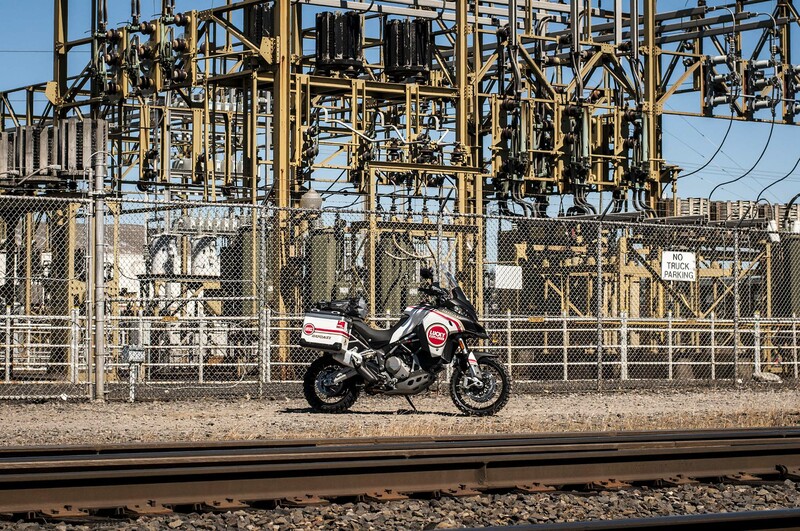 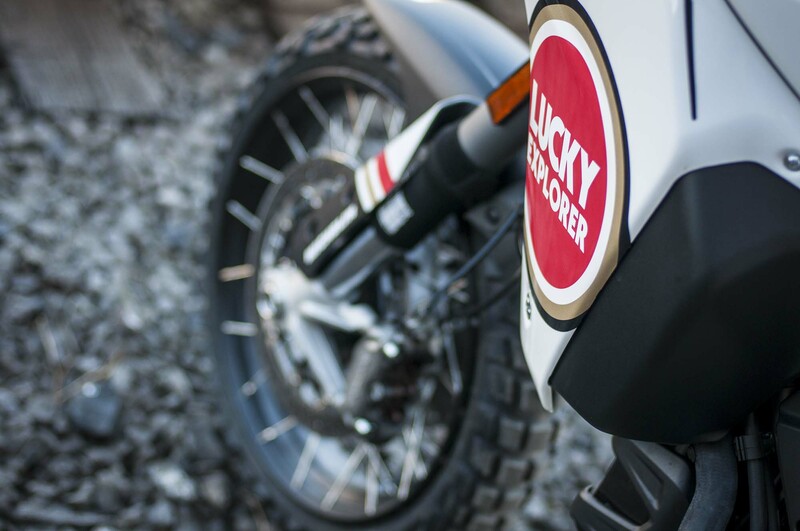 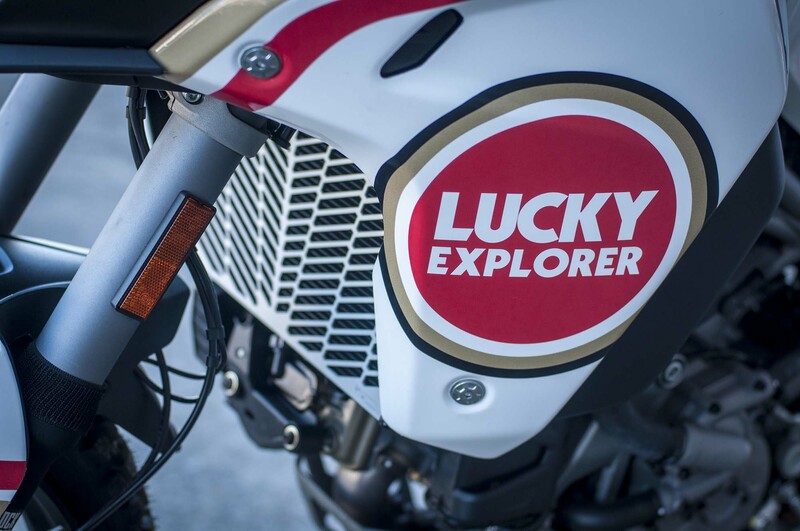 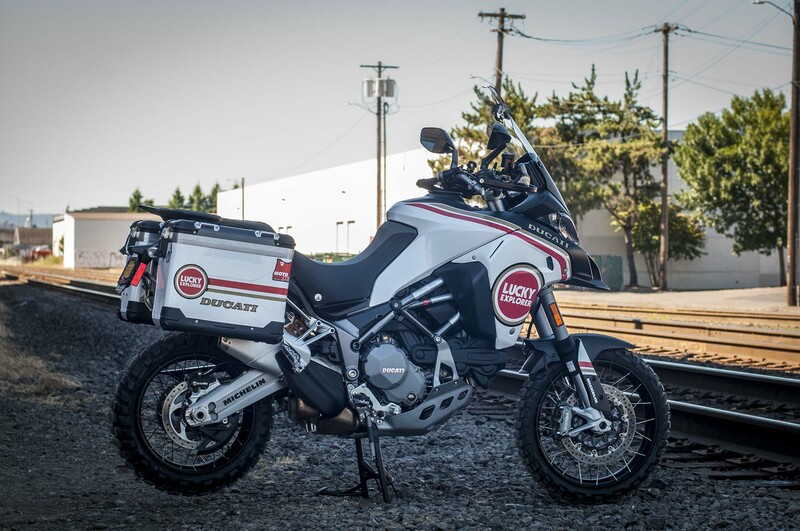 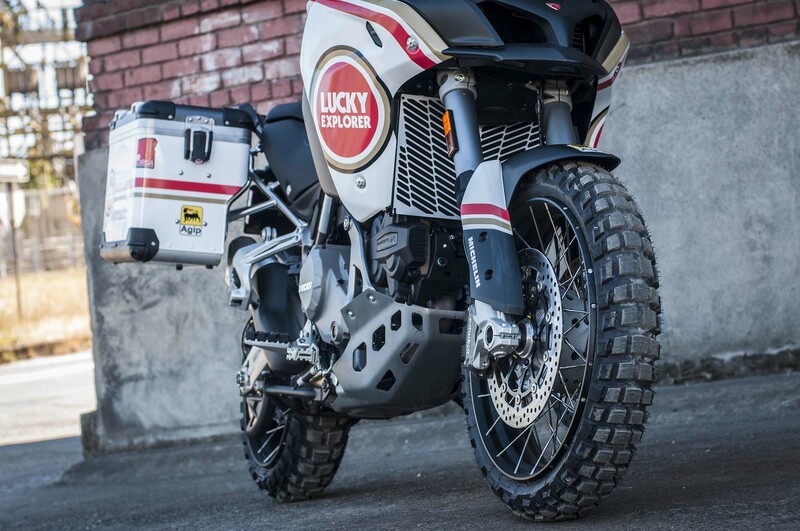 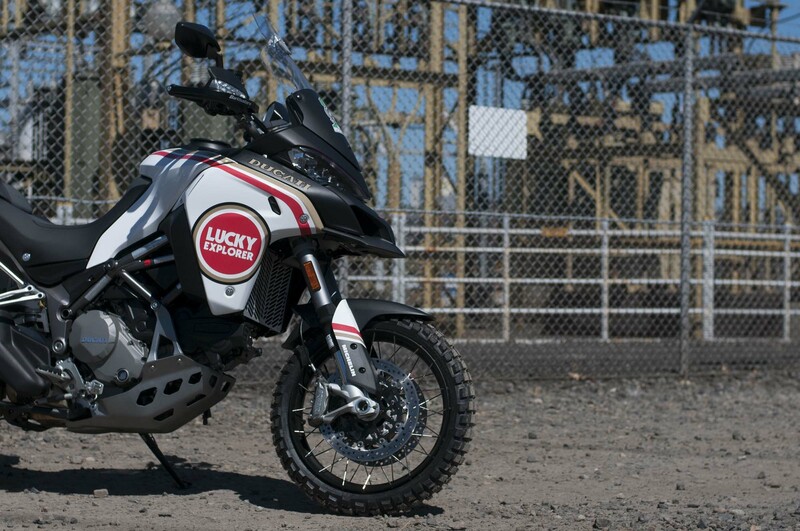 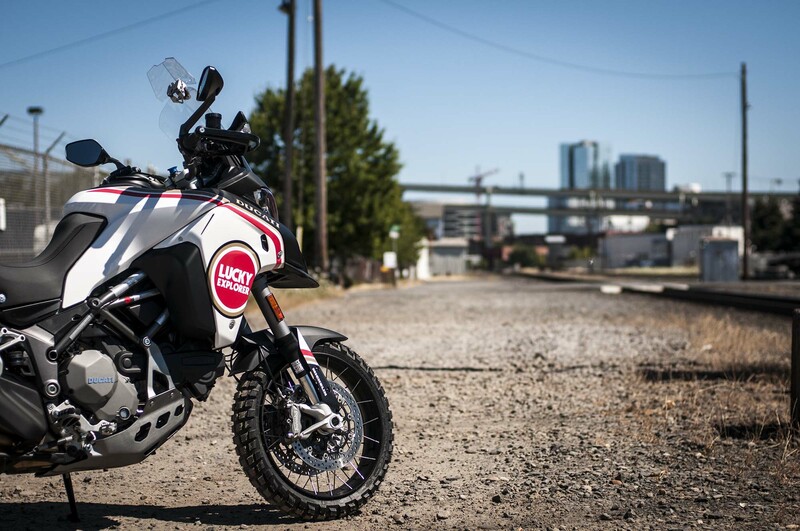 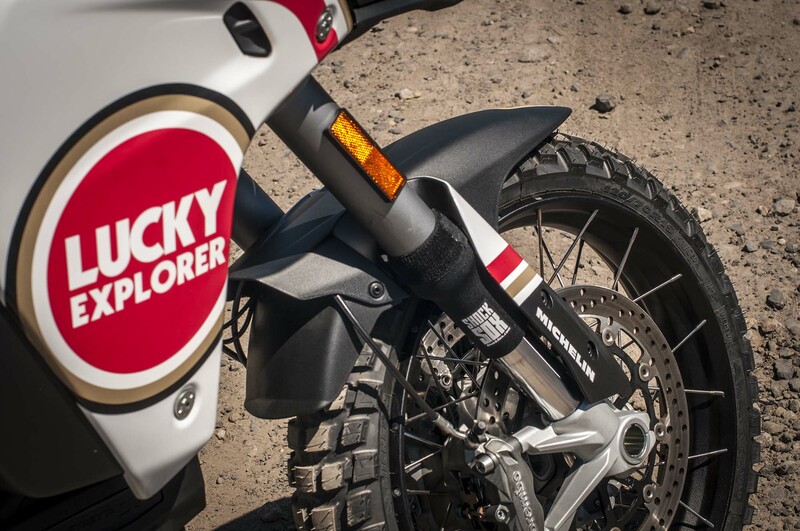 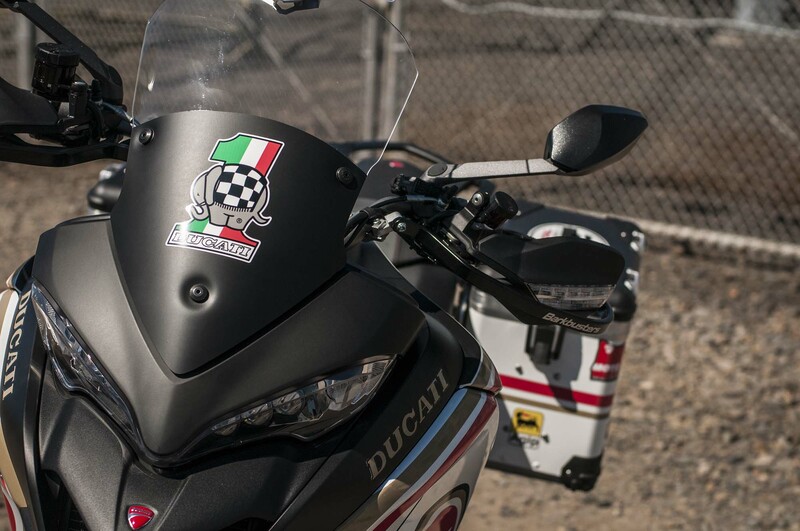 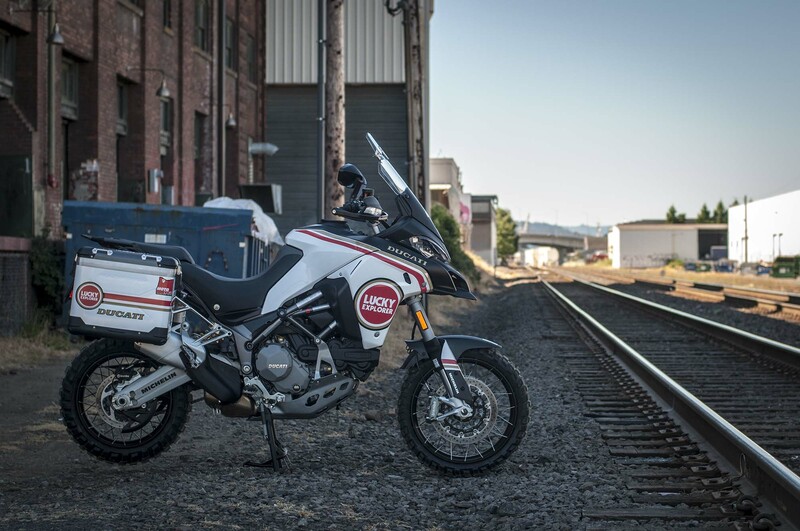 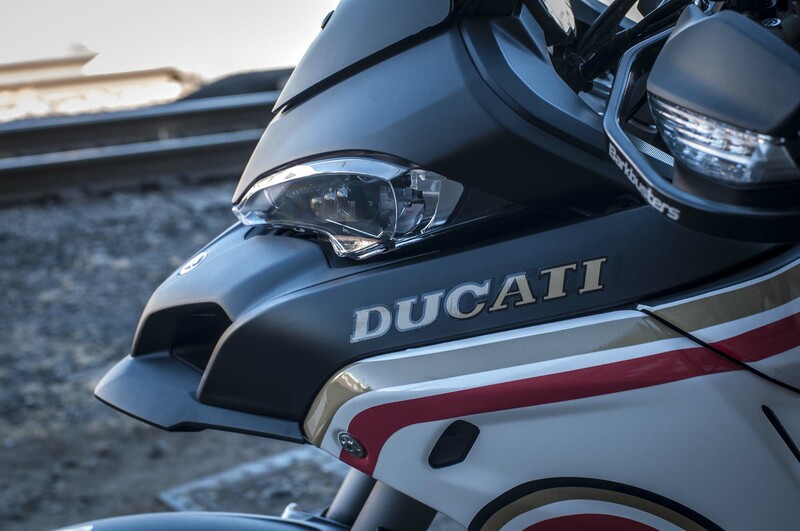 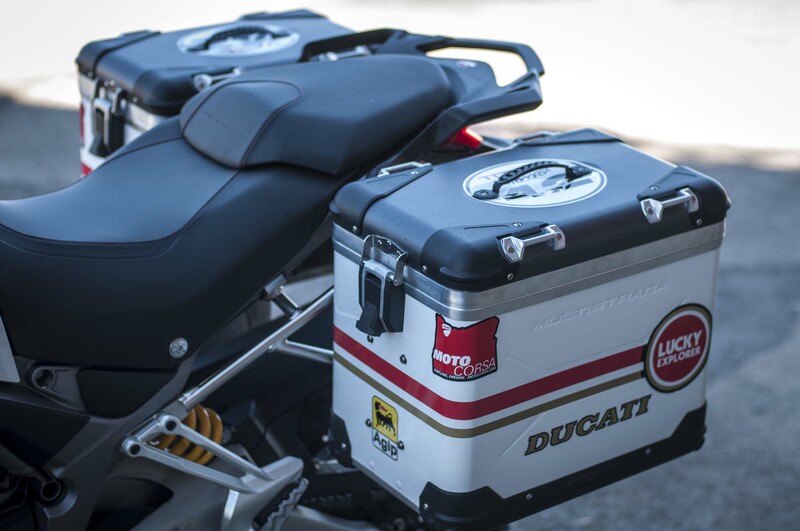 Primarily a visual exercise, the “Lucky Explorer” features a few bits and bobs from the Ducati Performance catalog, and what is available in the aftermarket for the Ducati Multistrada 1200 Enduro. 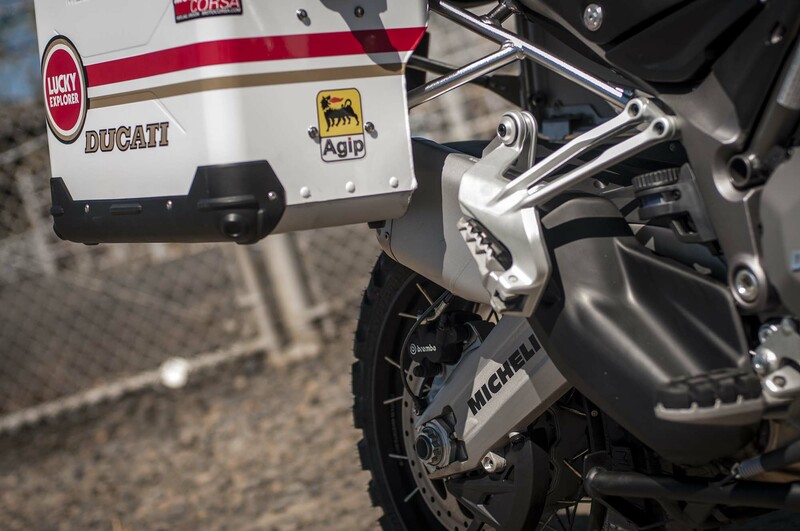 Of note are the period-specific decals for Agip fluids, Michelin tires, and the Cagiva brand (check the windshield). 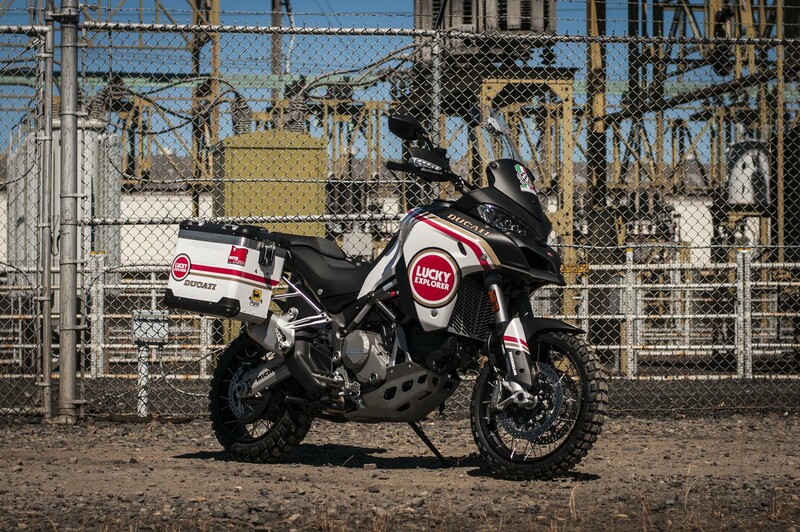 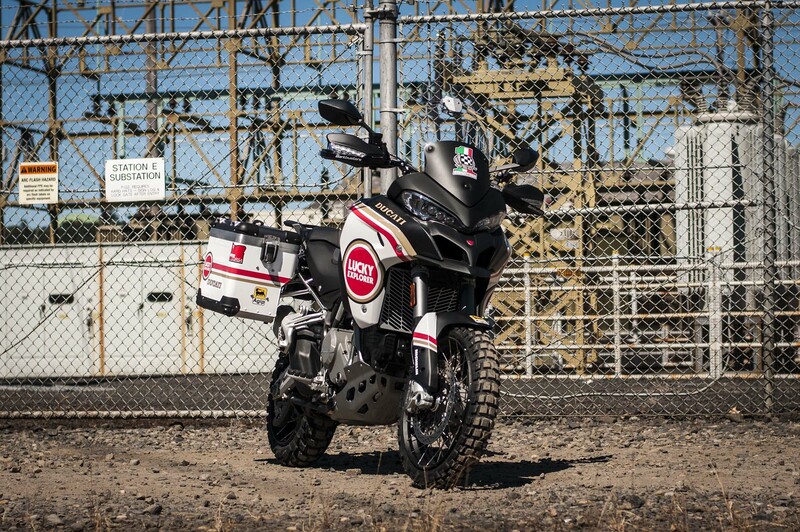 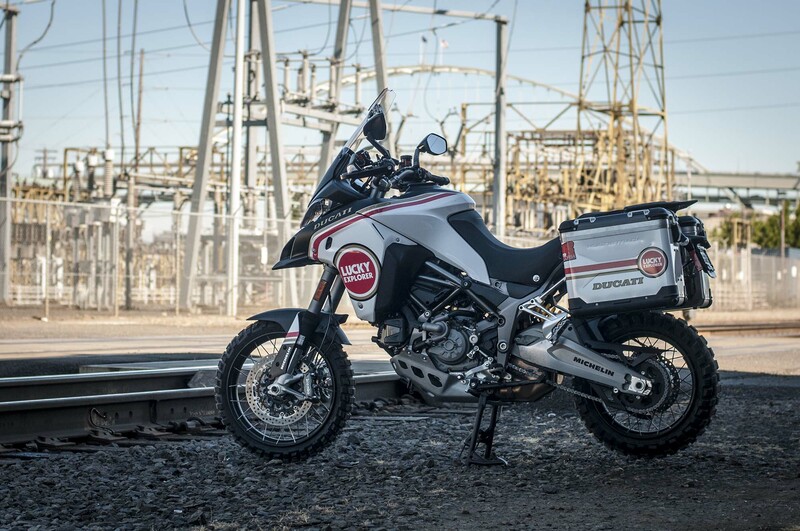 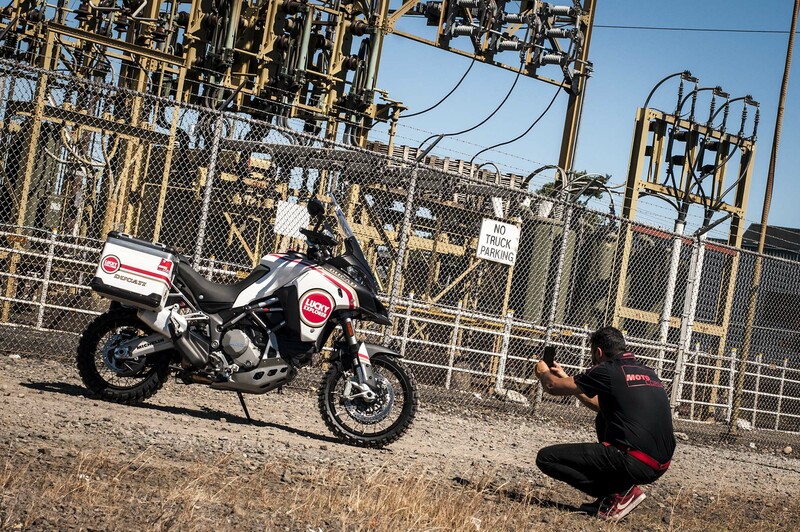 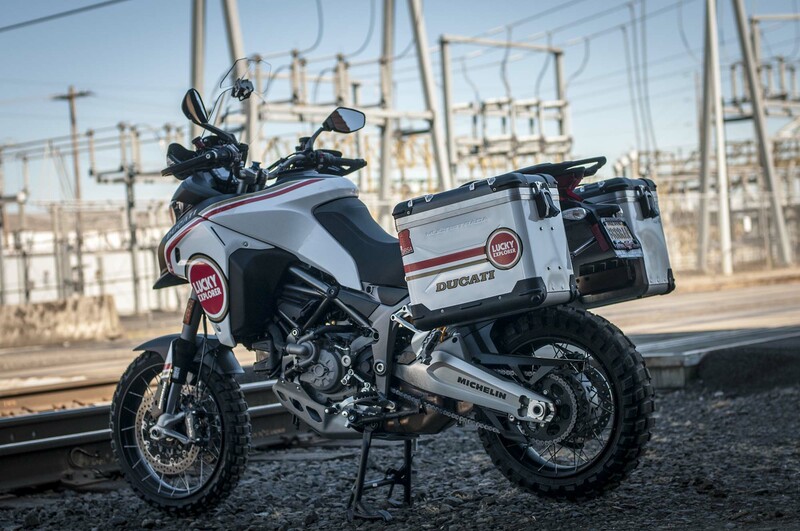 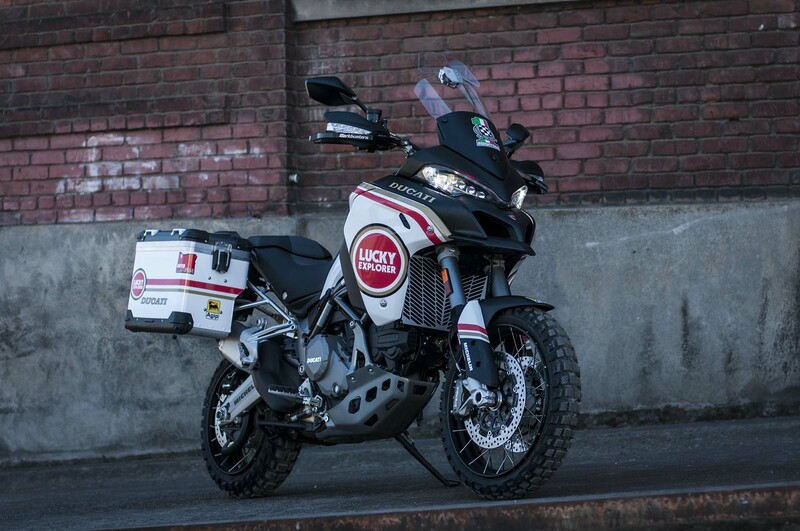 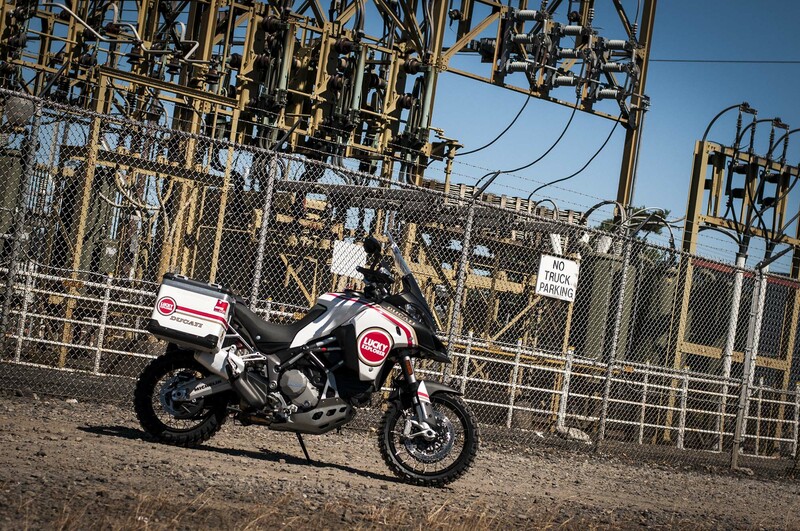 While Ducati doesn’t have anything that is race legal under the Dakar Rally’s now 450cc displacement requirement, it is interesting that Bologna hasn’t made a bigger link between the Multistrada lineup and its past rally raid racing escapades. 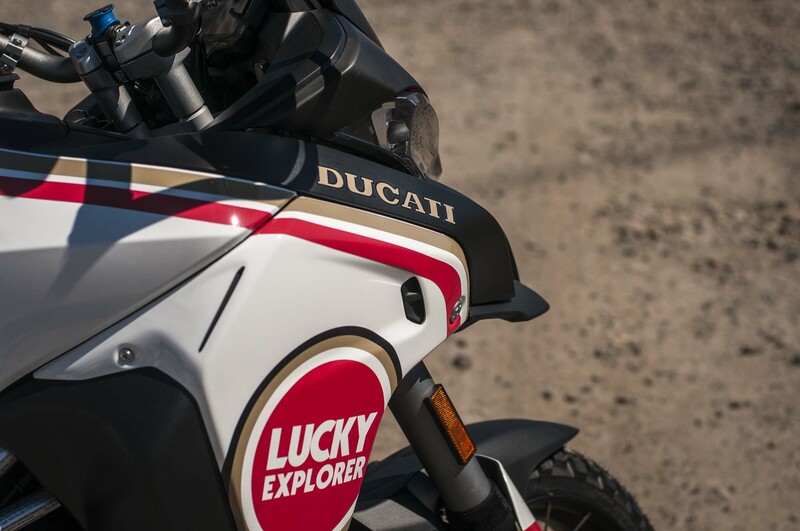 The lone Cagiva Elefant 900 in the Ducati Museum is about the only reference you will see to this chapter of the company’s history, which is unfortunate. 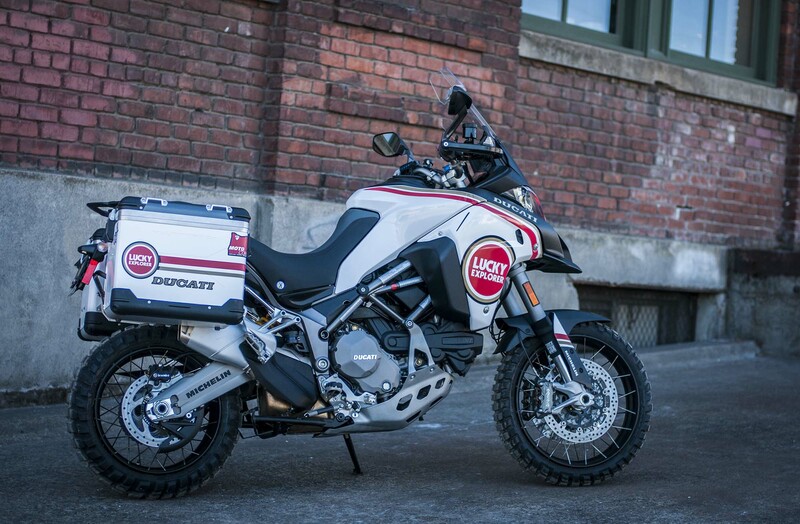 It’s good to see that some people remember when Ducati was part of the original ADV bike movement.